An "in-line" trail (almost 160km with 3500m+) , created for all people who love the idea to traverse mountains, to reach peaks of 2500m high, even the weather is not so good, even you have to overnight in a mountain hut and in that next day you have to carry with you the essential things and equipment for two days! Yes, we know ...is hard, but believe us it's worth! 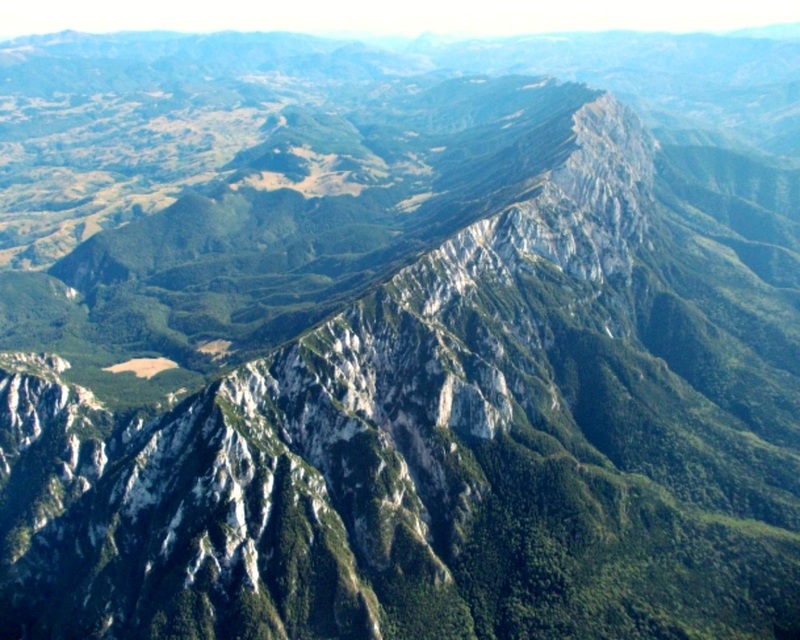 We will traverse four of our Southern Romanian Carpathians: Bucegi, Leaota, Piatra Craiului and Iezer. Private transfer from airport Bucharest to Sinaia (2 hours). Visit the famous Peleș Castle. Located in a beautiful mountainous region, at the foothills of the Bucegi Mountains , about 120km from Bucharest and 44km from Brașov, in the Prahova Valley, Sinaia is one of the oldest and most famous mountain resorts, often referred to as "The Pearl of the Carpathians". The beautiful region drew the attention of the Hohenzollern Royal House (Carol I - King of Romania) who built Peleș Castle, starting 1873. It becames the summer royal residence. Prior to World War II and the abdication of the royal family, Sinaia was a summer retreat for Romania's aristocracy. Accommodation at "New Aosta Garden" guesthouse. For today we have to reach first the Bucegi plateau, by cable car or by foot. Afterwards one long uphill till the highest peak from Bucegi Mountain: Omu 2505m-overnight in a mountain hut, close to Omu peak. In our way we can see "Babele" and "Sfinxul", these strange natural stone shapes. One short ascent and after this a long crossing on the "Old Guardian's way" to Strunga saddle; time for picnic-lunch. From here you have in front the fantastic view of "Branului country". The path will takes us down to Moieciu de Sus, a mountain village where the most of inhabitants are living from tourism and shepherding. Overnight in a guesthouse with very good condition and traditional food. Another day...crossing small and remote mountain villages with many uphills and downhills. Visit Bran Castle better known like Dracula castle but no connection with him. For many years the castle was home to Queen Marie, Queen Victoria of England’s granddaughter. We'll cross the hills of Măgura to Zărnești at the foothill of Piatra Craiului mountain. Today we have to climb through Zărnesti Canyon and we'll follow a steep path up to Curmătura chalet. Time for picnic-lunch with apple pie. From here we'll try to reach the Piatra Craiului Mică highets point - 1800m on a steep and technical trail-equipped with cables. The view around is stunning when you are on the highest point. The descending trail is also demanding on a wild valley full of rocks. We have many chances to see chamois. After the steep descending we pass near a monastery with a beautiful legend-Colțul Chiliilor. Here we can visit a monastic shrine built in a cave. Another 2 km and here we are at our guesthouse "Popasul Craiului". Transfer by car for 25 km on a forestry road to approach our trail in Iezer. Soon the main feeling will be that we are in a wild and beautiful place: only mountains around, no forests, no shelters... The later part of the route takes us through remote villages into a very attractive rural landscape with steep hills and alpine pastures. Transfer by car in Brașov city.